The Smart Installer allows end users with legacy Symbian devices to install and run Qt applications making it possible for Qt developers to target hundreds of millions of existing Symbian devices. More details are available at: http://qt.nokia.com/developer/nokia-...er-for-symbian. A Qt 4.6.2-based port of Qt to Maemo 5 is now released and available for download. This port allows Qt developers to target the Nokia N900 and be future-proofed for upcoming Maemo platform releases. More details are available at: http://qt.nokia.com/products/platform/maemo. Nokia is pleased to announce the release of updates to Qt: the cross-platform application and UI framework. Also released are updates to the Qt Visual Studio Add-in and a new build of the Qt SDK. Customers will find the releases in their download areas. All new releases are also available for download from http://qt.nokia.com/downloads. Qt 4.6.2 includes bugfixes and optimizations made since the release of Qt 4.6.1. For detailed information, please consult the changes-4.6.2 file found in the packages, or browse the information contained in the Developer Zone at: http://qt.nokia.com/developer/changes/changes-4.6.2. Today Nokia announced the release of maintenance release to Qt 4.6 and Creator 1.3 series. Qt 4.6.1 brings a binary compatibility guarantee for Symbian applications, bugfixes mainly to the GUI and OpenGL modules. There is also an important change if you use the Phonon module. Also a beta for the Maemo port has been released. 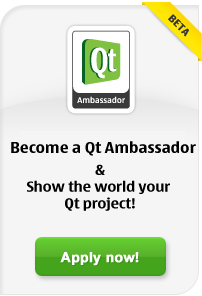 You can find more information at Qt for Maemo developers page.